The last month or so, we have been working on erosion control for our lot. We bought plants that have deep roots (once they are grown) to keep the soil in place. 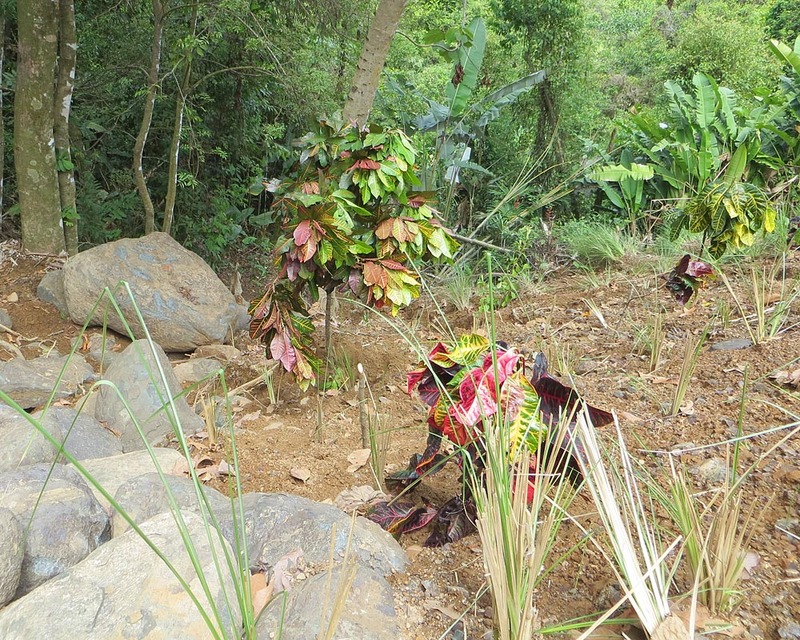 We bought 2,400 vetiver starts and 150 ornamental bamboo plants, which were strategically placed alongside the concrete gutters, near the edges of the borders and steep slope of our lot. Our yard guy and his workers planted them for us; it took them a couple of days. The lot was looking pretty nice when they finished the work, so we decided it would be a good idea to add some more decorative plants on the steep slope in the very front of the lot and on the sides. When mentioned this to Lopez, our caretaker, he got all excited about it and told us that he would help. Turns out, Lopez is quite the gardener. Over the past eight years, he has planted most of the bushes and trees on our rental property and they are beautiful! Early last week, Lopez told us the best time to plant would be early Sunday morning (May 18)…something to do with the moon cycle. Sometimes Lopez speaks so fast, we don’t understand exactly what he’s saying. We only get the gist of it. (He doesn’t speak English.) Anyway, he wanted to be at the lot before 7 a.m. We got up about 5:30, but Lopez was up even earlier collecting cuttings and samplings from various plants from his lovely garden. He collected around 45! He came to the door and told us we needed to get going, the sooner the better, so we did. We were at the lot by 6:30 a.m.
Eddie and Lopez did all of the planting and I just watched and supervised. 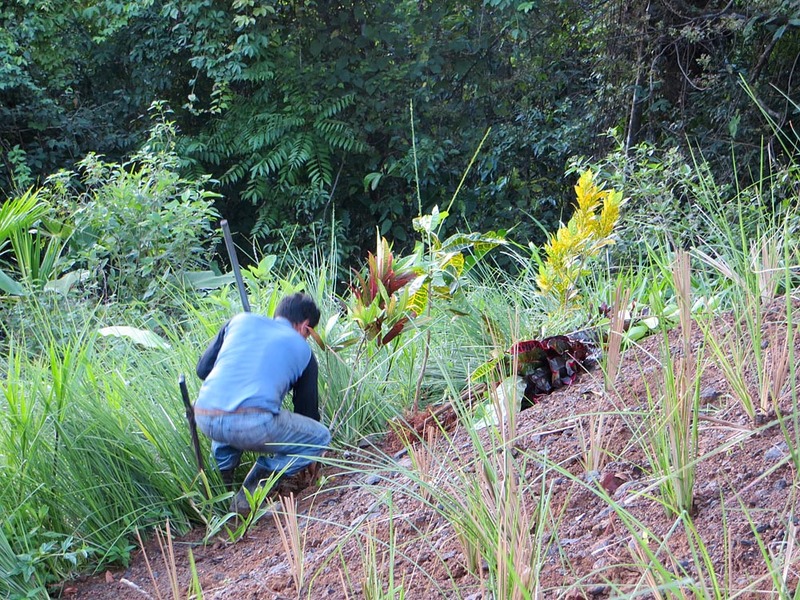 I did find a few vetiver starts that hadn’t been planted and I took care of them. It took about an hour for the guys to do the planting. We wanted to take Lopez out for breakfast, but he had plans, so we drove back to the house. We ate breakfast in and afterwards drove back to the lot so that Eddie could take some measurements of its size. 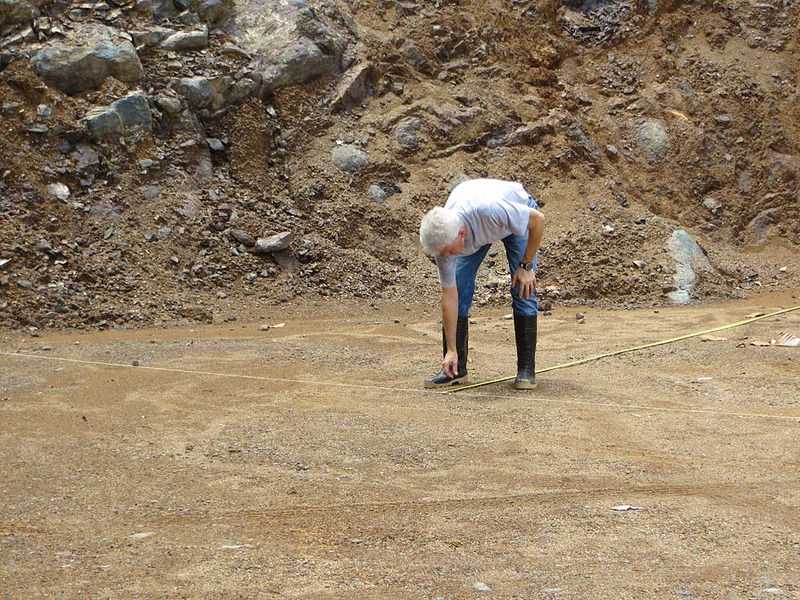 When we did the re-grading, the entire plantel changed. 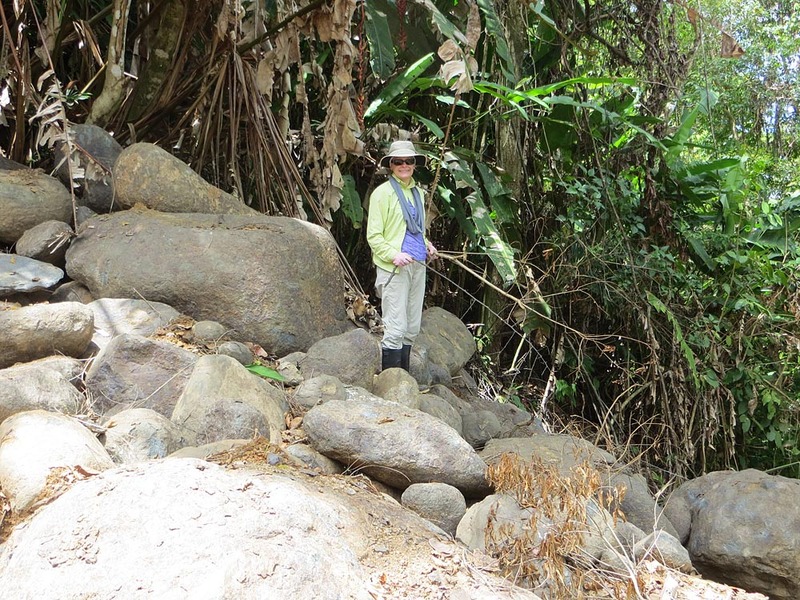 While Eddie measured, I had fun clearing debris from the big rocks. The following day in the early afternoon, Eddie met our yard guy up at the lot to pay him for his work. The guy asked Eddie who planted the new things and Eddie explained what we had done the day before. Our yard guy told Eddie that he had better go look because the ants were attacking the plants. 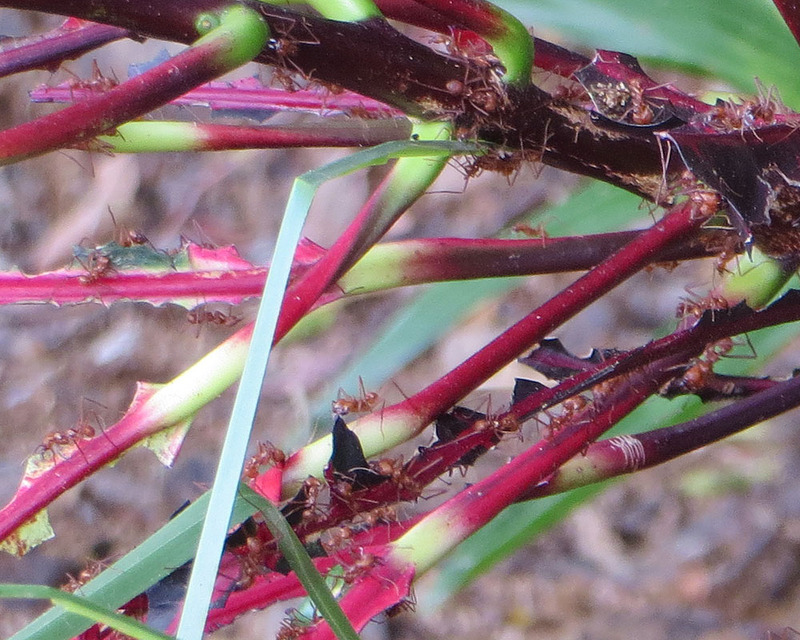 In just over 24 hours, the Leaf-cutter ants had stripped off all the leaves from almost every sampling and tree cutting except for the palms! What to do??? Both Lopez and our yard guy told us we have to kill them with poison. That’s the only way to get rid of them. 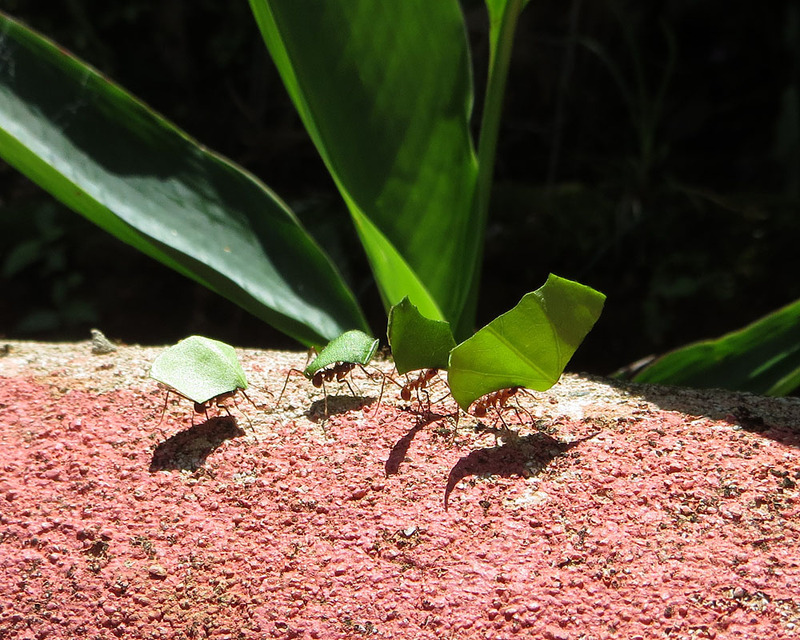 We knew about the Leaf-cutter ants and we have seen them all over Costa Rica and on our property, but we just didn’t think about the danger of having them around. Now we know! Eddie did some quick research about these ants and they are pretty amazing. These ants don’t eat the leaves, but cut off pieces with their pinchers and take the pieces back to their underground nest where they use the leaves to grow a fungus. It’s the fungus that they eat. These small ants consume about 20% of the vegetation in the rain forest! According Wikipedia, in a few years, a nest can grow to more than 98 feet across and can contain eight million individuals. Wow! The Leaf-cutter ant can carry up to 20 times its own weight! 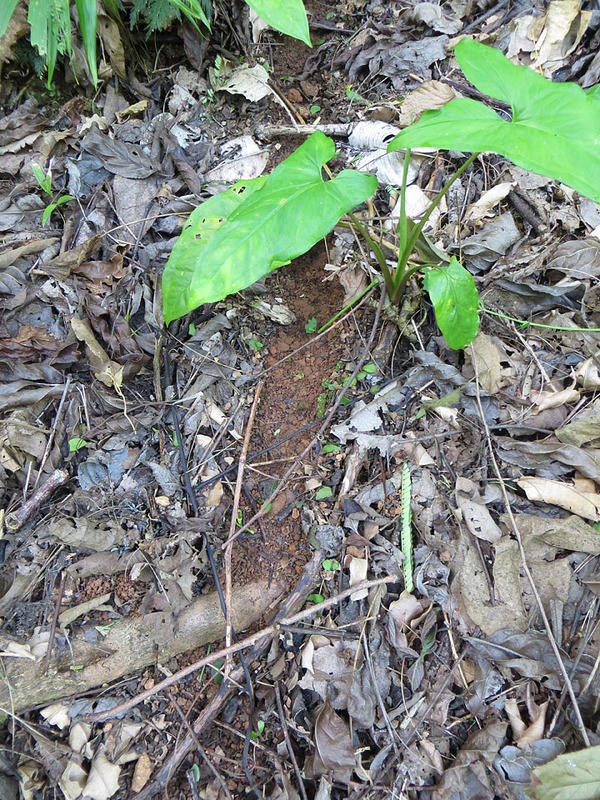 The ants make a roadway across the jungle floor to their nest. Well, at least we didn’t buy all those plants the ants destroyed. 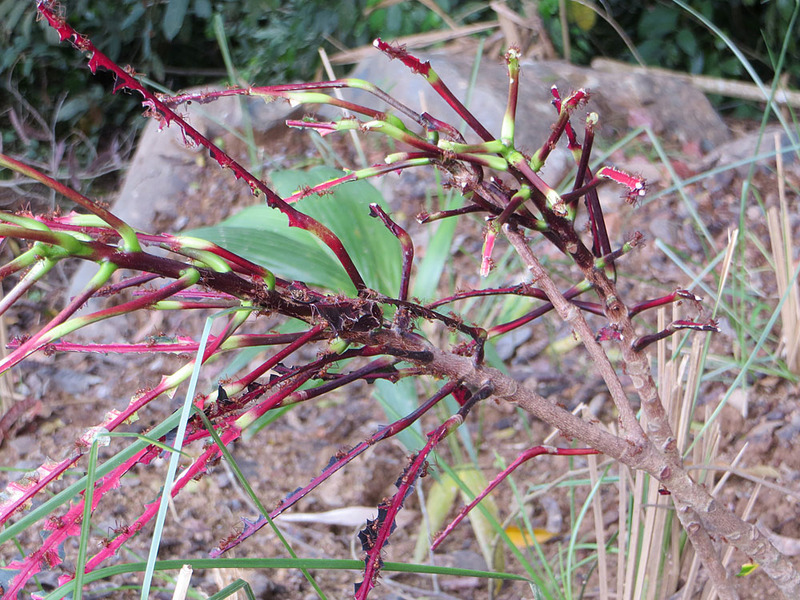 We expect that in a couple of weeks the ants will be eradicated and then we plan to re-plant. 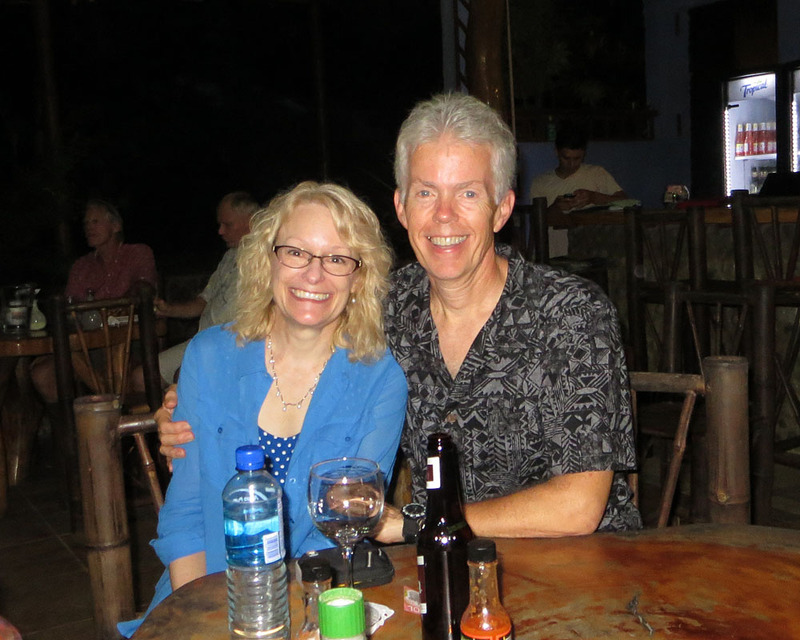 Enjoying an evening out at Ballena Beach Club with our friends George and Susie. Wish there was a way to coexist with the ants. They are truly amazing. Agreed…they are fun to watch! Oh my!! Hope your re-planting goes better!